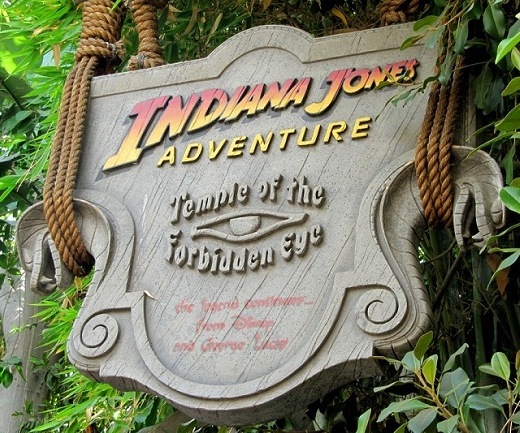 Today my 7 year old son road the Indiana Jones ride at Disneyland, a tumultuous journey through fire, giant snakes, and piles of (plastic, but very realistic) skulls. We praised him for being so brave. His first words off the ride were, “What was it like?” That was because he covered his eyes the whole time. I was proud of him for daring it all the same, and the day will come where he laughs his way through such things. I still cover my eyes in the Haunted Mansion. The ride is on. The car has started rolling. If you’ve chosen to ride with Jesus, don’t close your eyes – this is what life is all about. How much more scary to risk standing before him in the end and hear him say, “I never knew you” (Matthew 7:21-23).